I hope you have a great week and back into the swing of things now we are well in September? We have lots of new “things” happening with Kick Start and women’shealth and wellness in the form of programmes, evening events, and initiatives with serval large brands which is exciting. Have you joined my 21 Day Get Fit With Rachel Holmes challenge? This is a free challenge consisting of a daily 10 minute home workout. There is no diet or food or nutrition it’s all about exercising for mental wellbeing, brain cognition, self-confidence, happiness, positivity as well as all the usual health and body benefits associated with daily workouts. Currently, there are over 500 people in the group and it’s buzzing with energy – Would you like to join? When signed up to the Newsletter click here. If you missed the start of the Elevate programme or you would like to try one of my shorter programmes or like to work through an online programme at your own pace you can now get 15% discount on these best selling and results orientated programmes. Lift Lean Programme – 7/14 & 21 Day Programmes – Home Weight Training Workouts with 5:2 Weightloss Protocols. 7 & 14 Day Sprinter Programmes – Fast results. Wellness + Workout Evening Event. A special event hosted and presented by Rachel Holmes. Early Bird only £40 Join Rachel for a new workshop experience in “Wellness and Workout” for Female Fitness Professionals. *Introduction – Industry trends, Women working in Group Fitness, High-performance lifestyle. 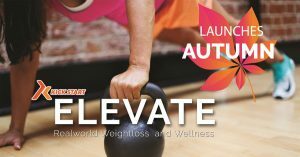 Preventing burnout, Physical & mental health for female Fitpros, Elevate your thinking and leading a happy healthy lifestyle. A fresh, sassy and funky Fitness Pilates class encouraging a new generation of fans and followers to Fitness Pilates. modern movement. Together let’s inhale the good vibes and exhale whats no longer serving us. Are you ready to experience Fitness Pilates in a whole new way and open up your FP classes for new clients? 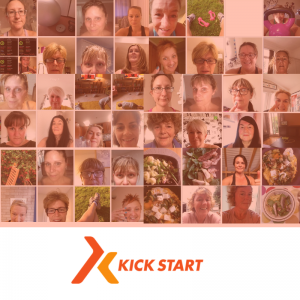 menopausal symptoms, night sweats, low mood, joint pain, brain fog who want an on trend, results based workout that is suitable and doable for this demographic. Experience focussed 15-minute strength training workout blocks that are time efficient and can be slotted into the busiest lifestyle. Taking Your Fitness Classes and Teaching Online. Are you frazzled by teaching? Finding the work / life balance a struggle working evening and weekends? Have you hit the income ceiling and see no way of earning more more money teaching face to face? You only need your phone, ideas and a willingness to get going. Rachel spells out exactly how to get started and how easy it can be,……when you know how.